We are a full service Law Office focusing on Criminal Defense and Immigration matters. We realize the importance and the long lasting impact of such matters on your future, your career, and your family. Knowing the trauma and crises our clients experience on a daily basis, we respect and involve every individual in the process of their case. We give each client high priority access (24 hours) and treat each client with dignity and respect. Firm Profile / Sara L. Caplan, ESQ. Sara Caplan is a highly experienced criminal defense attorney (29 years). She also handles many immigration matters. She was for 11 years Of Counsel to Christensen, Miller, Fink, Jacobs, Glaser, Weil & Shapiro; and was co-counsel with Robert Shapiro for 14 years. After a brief hiatus Ms. Caplan is currently working as co-counsel with Robert L. Shapiro on several criminal matters pending at this time. She is a trial attorney, specializing in criminal defense (state and federal; adult and juvenile); professional administrative hearings (e.g., medical, dental, nursing, and real estate boards) and many types of immigration matters (administrative and court proceedings). Post 9/11, Immigration procedures have been drastically impeded, especially when criminal convictions or arrests are involved. Criminal matters have a major impact on one's immigration ability and status. Ms. Caplan specializes in representing individuals in such matters with extremely favorable outcomes. Ms. Caplan has been involved in many complex, multi-defendant, and high-profile cases, which have proceeded administratively and in state and federal courts. She has always handled a high volume of cases and has extensive courtroom experience. Many cases have involved very complicated white-collar criminal fraud schemes, scientific evidence such as DNA, ballistics, toxicology, latent prints, forensic computer evidence and toxic environmental waste matters, as well as psychiatric and sociological issues. She maintains excellent relationships with many judges, prosecutors and private attorneys. Ms. Caplan has handled many types of immigration matters, including alien petitions for temporary and permanent residency (based on marriage, labor, special ability, asylum and Torture Convention claims, etc.) and adjustments (through the Service and in Immigration Court). She has successfully litigated several Immigration court cases, mainly asylum and withholding of removal cases for immigrants originating in the republics of the former Soviet Union and Indonesia. 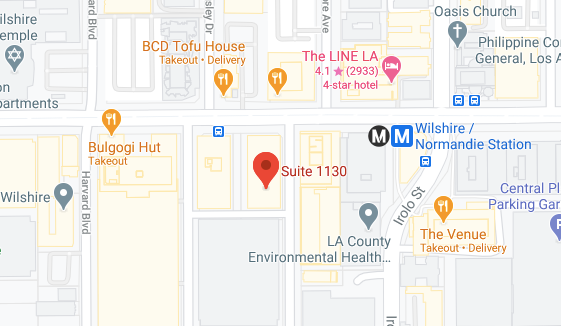 She has done many merits hearings before many of the Immigration judges in the Los Angeles Immigration Court, as well as handling appeals to the Board of Immigration Appeals. Ms. Caplan attended law school and obtained her J.D. in 1983 at Wayne State University, in Detroit, Michigan. She obtained a Master of Social Work degree (M.S.W.) in 1978, with a major in Social Welfare Administration, from the University of Michigan, in Ann Arbor, Michigan. Her undergraduate studies were completed at Wayne State University, in Detroit, Michigan from which she graduated in 1977, with a B.A. degree, majoring in psychology, and with High Distinction. She was also awarded a Psychology Department Citation for Excellent Accomplishment in Psychology; awarded Psi Chi membership (National Honor Society in Psychology) and was awarded membership in Phi Beta Kappa for academic excellence and accomplishment. Ms. Caplan is a member of the State Bars of both Michigan and California. 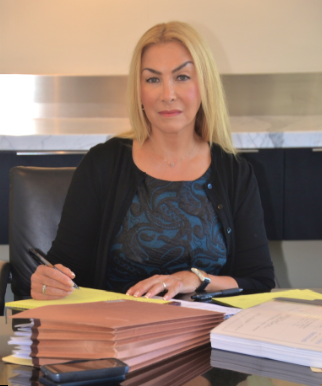 She is also a member of the National Association of Criminal Defense Lawyers, California Attorneys for Criminal Justice, Beverly Hills Bar Association, Criminal Courts Bar Association, California Public Defenders Association.